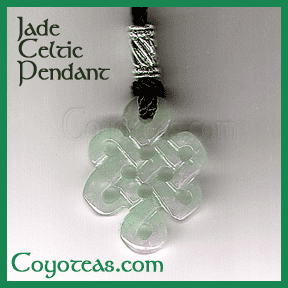 More Information: Beautifully detailed celtic knot made of semiprecious green jade, suspended on an adjustable, twisted black nylon cord ~30in. (76cm) long, with thick twisted-tube accent. Size approximate 1in.x1.50in. (2.5x3.8cm). Handcrafted by Coy. 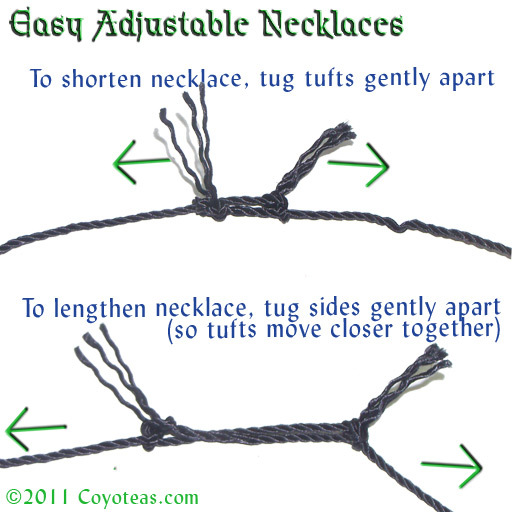 Related Products: Jewelry, Celtic Knot.